When you think of private investigators, the first thought that comes to mind is probably an old film noir movie scene featuring a smoke-filled office with the Venetian blinds perpetually closed. However, private investigators are not just the stuff of film legend. They exist throughout the United States and countless people rely on them for a wide range of reasons. Thanks to both the Freedom of Information Act (FOIA) and the growth of the internet, a lot of what private investigators used to do can now be done by anybody with a laptop and internet connection. However, private investigators still have their place and there are reasons why hiring one may make more sense than doing your own sleuthing. Private Investigator services can help to uncover a lot about a person you might not know. A private investigator is essentially just a detective who can be hired out for private jobs. A detective who works for the police department, in contrast, doesn’t typically perform private contracts for clients since they work for the general public and are thus paid through taxes. A private investigator, unlike a police detective, is also not limited to investigating criminal matters. In fact, they are most often hired for non-criminal issues, such as performing background checks on prospective employees, finding out if a spouse has been cheating, or gathering information for a client that could prove useful in a child custody case. In most states private investigators need to be licensed. In only three states, Idaho, Mississippi, and South Dakota, are there no licensing requirements for private investigators. In Alaska and Wyoming there is no statewide licensing requirement, although investigators must be licensed by local authorities. Licensing standards vary widely from one state to the next. In some, such as Oklahoma, the licensing requirement is simply a written exam. In others, the investigator will need practical training and experience in law enforcement. In most states, such as New York, investigators need to pass an exam while also demonstrating experience as a police officer, investigator, fire marshall, or in a related occupation. Before the advent of the internet, a private investigator was often the most efficient way of finding out information about another person. Nowadays, much of what private investigators do can be done by just about anybody by looking up public records online. For example, if a person wanted to know if their spouse was being unfaithful, they may be able to find out for themselves simply by checking their spouse’s social media activity. Background checks can also be done quickly and easily online now, especially if you use third-party databases like SearchQuarry.com, which makes online investigations a much more affordable alternative to hiring an expensive private investigator. Even tools that were once considered high-tech and available only to licensed professionals, such as hidden cameras, can now easily be bought at any electronics store. So what advantage is there to hiring a private investigator? For most simple jobs, there aren’t many advantages. If all you are looking for is a simple background check then you can probably do that yourself. However, private investigators are licensed professionals, which confers two big advantages: the first is that they are thorough and they will know tricks for getting the information you are after that simply cannot be performed online. The second, and probably most important advantage, is that they know the law. Even if you did do your own sleuthing online, it is very easy to inadvertently violate privacy laws. In some cases, such as a divorce or child custody case, falling afoul of privacy laws could mean that whatever incriminating evidence you did unearth would automatically be thrown out by a judge. A licensed investigator can help you find that same information without breaking the law. The reason much of what private investigators do can now be done by anyone is thanks to the Freedom of Information Act (FOIA). The FOIA went into effect back in 1967 and has made much of the information the government collects available to the public. With the rise of the internet, a lot of that public information, such as criminal records, has made its way online, which in turn has allowed countless people to become their own private investigators. Private investigators aren’t right for every situation, especially since they cost a lot of money and do not guarantee results. In many cases, you might be better off doing your own investigation online. However, if that investigation turns up little or you are worried about potentially violating privacy laws then hiring a private investigator may be a good idea. 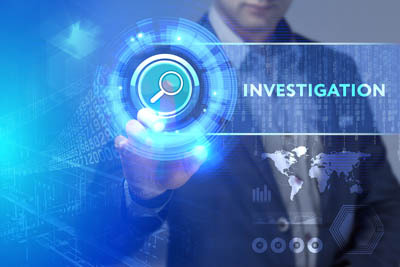 Our online investigation services are for the United States only so unfortunately we cannot assist you with any information for Bahraich, India. Please let us know if there are any public records investigations we can assist you with domestically. I want to know details about the Americanman I know from social media.The details I have only his name and contact number. Kindly email if you could assist me into this matter. We would be happy to assist you with an online public records search. This is much easier than hiring a Private Investigator Service or a Detective. If you can provide us with as much information as you have we will lookup this person you’re talking about. Because of the Freedom of Information Act of 1966, most all publicly collected information on U.S. citizens is public record and available for anyone to view. It’s unclear what you need exactly. Are you looking for private investigator services to serve subpoenas subpoenas to the people you mentioned? In many cases a subpoena is served by police or an officer of the court. You might want to consult legal counsel about how to go about serving subpoenas to people in other states. Depending on the state and the nature of the civil law suit, these subpoenas might not be binding in other states but that is also a question for legal counsel. That being said if you clarify why you need to hire a private investigator service, we can try and point you in the right direction. I AM LOOKING TO TRACE SOMEONE WHO WORKS AND RESIDES ON RHODE ISLAND. I am trying to find USCG service members I was stationed with between 1975-1984 . What’s the best free search engine available or maybe the one with the most value? Since these are military records, they’re not public domain and do not fall under the FOIA. You might consider searching through social media ( i.e. Facebook ), through Archives.gov, or there is a website Military.com where they offer a buddy finder service. We are uncertain if this service is free or a paid service. We don’t show any personal information attached to this phone number except that the area code identifies this as coming from Texarkana Texas. You might consider hiring a private investigator if you’re interested in tracking this person and your daughter down. It’s possible this is a pre-paid mobile phone, or burner phone, which means there will probably not be an attached name or address.